If you are to visit this place, get ready for a blind date with your food. It is a unique dining concept where people don’t see their food but experience it. 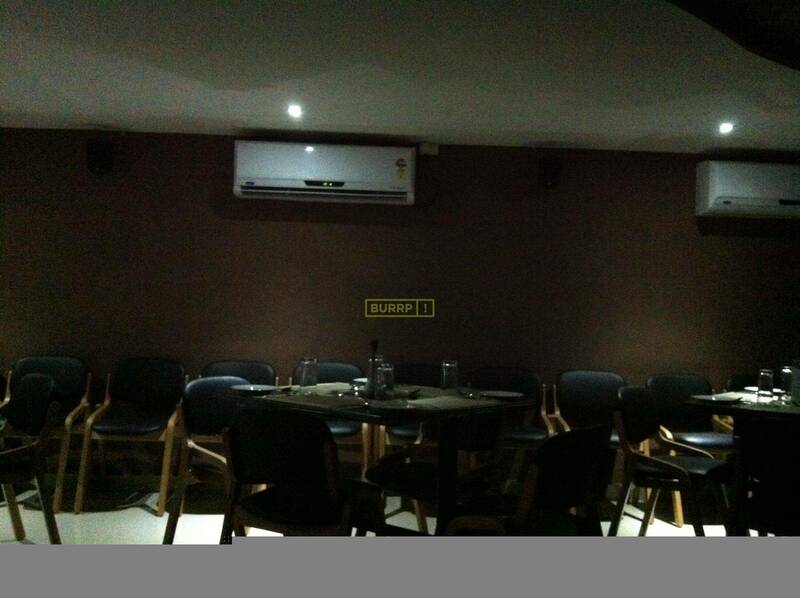 A visually impaired server is your guide and host and you are served with vegetarian and non-vegetarian preparations. The entire café is masked with absolute darkness and you learn much about the lives of visually impaired people. NOTE: Please do not visit this place if you are claustrophobic. Prepare yourself to enjoy your food in the company of the dead! Sounds crazy, isn’t it? But this unrealistic idea is a living reality at the New Lucky Restaurant. 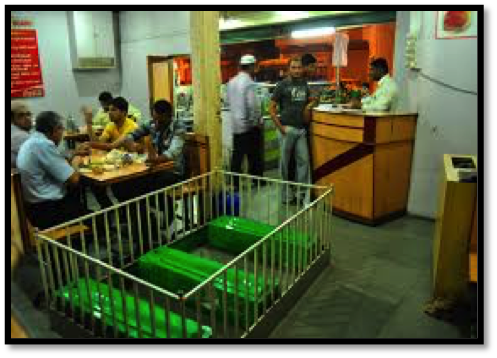 The owner has been running the restaurant since 50 years and finds the dozen of graves enclosed inside the bars lucky for him, which may appear creepy to you but you’ll be surprised to find people relishing their food unaffected by their surroundings. Setup like a jail, this place has its staff dressed up as inmates and jailers. It is hard to believe but top class food is served inside this prison! 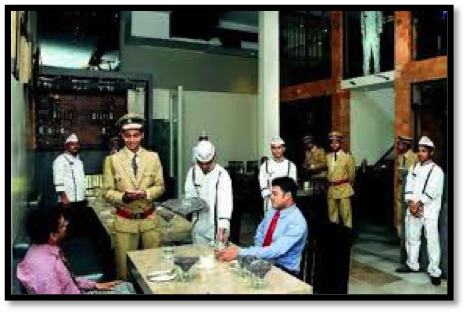 Kaidis in black and white attire serve the food while the jailers in authentic uniform take the orders. This place serves strictly vegetarian menu. 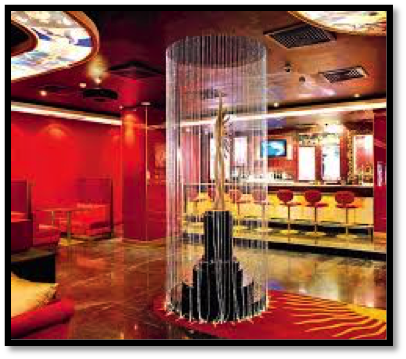 The theme of this restaurant has been inspired from the famous Bollywood award show IIFA. 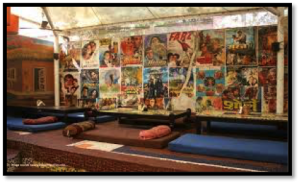 It provides a complete Bollywood experience through a café. The place is adorned with IIFA trophy and pictures of Bollywood stars. 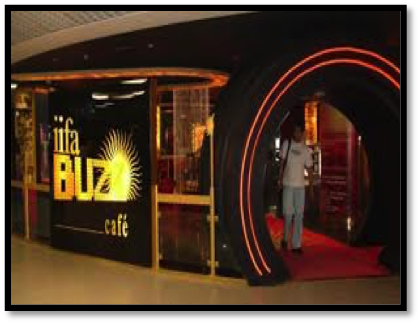 IIFA Buzz is a unique joint initiative by Great India Nautanki Company and Wiz craft International Entertainment. It has been inspired by India’s authentic ambiences. 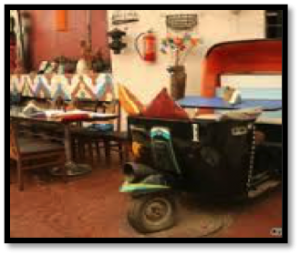 Auto-rickshaws are the lifeline of Indian transportation system but who would have thought of transforming them in a restaurant? From rustic dhabas, found along the highways of North India to the unique colourful auto-rickshaw style sitting arrangements and the over-dramatic Bollywood posters all around makes the restaurant indeed a lively place to be at. 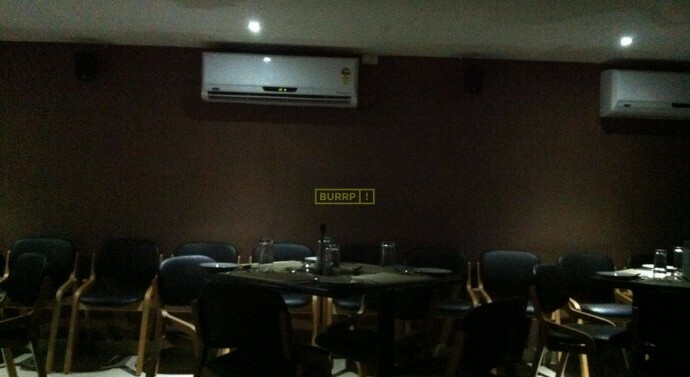 The interiors are just right amount of desi and the menu cards are designed just as the number plate of a truck. If you visit this place, must request the dholis (drum players) to play energetic Punjabi beats and perform Bhangara. 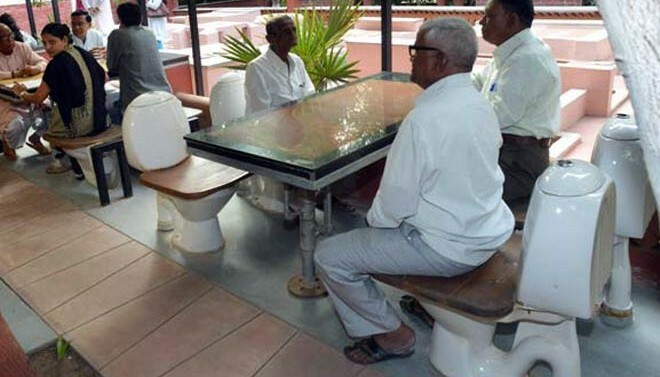 It is India’s first toilet-themed restaurant. This café has toilet garden around it. 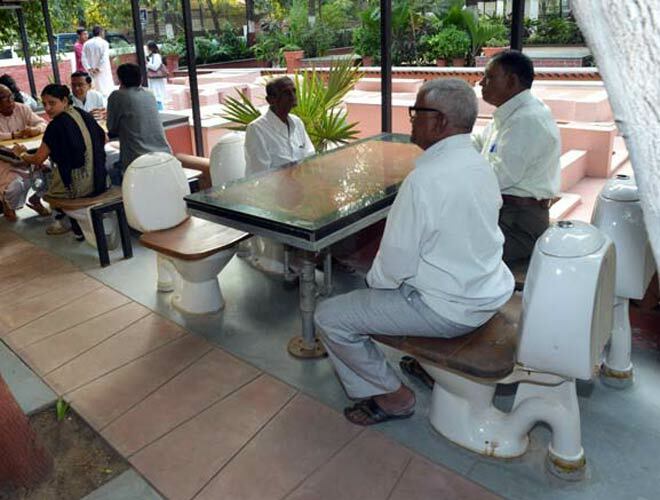 The toilet garden boasts the collection of more than twenty lavatories and urinals which date back as the 1950s. 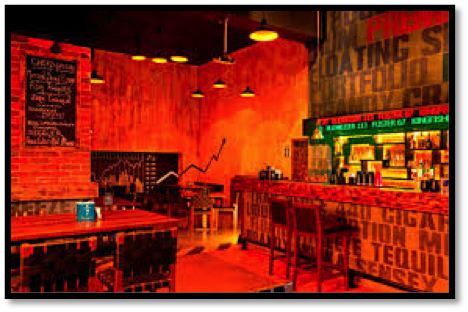 It is one of the most creative restaurants in India. When the temperature rises outside and you want to chill, then this is the best place to be at! 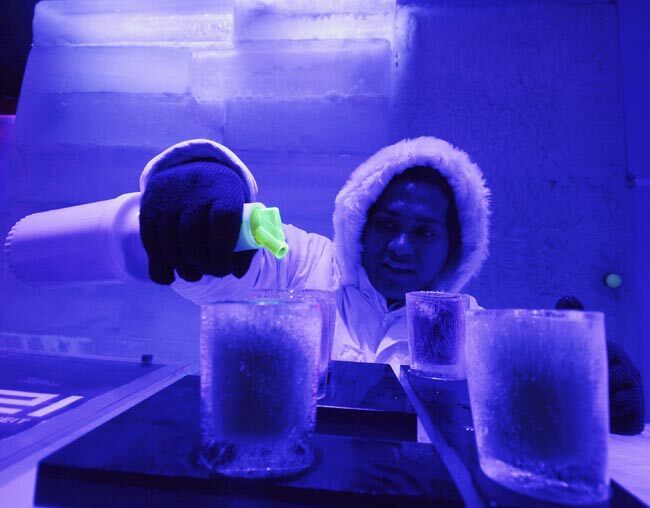 A fine dining and ice lounge combo, this place has everything, from tables and chairs, plates and glasses to chandelier and lamps made of ice. 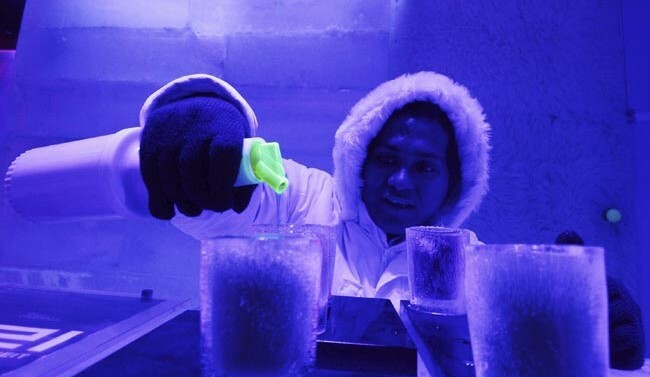 Visitors are provided with gloves, boots and warm coats to bear zero degree temperature. This pub works upon the theme of Stock Market. The people can buy drinks at the lowest cost price when the market opens at the ‘zero’ hour. The prices of the drinks keep changing according to their popularity. The more popular a drink is, the more it costs.